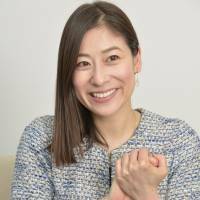 Rika Sueyoshi, a TV celebrity, is trying to promote “ethical consumerism” in Japan by encouraging people to favor environmentally-sustainable products made by workers whose rights have been protected. The term ethical has also come to be regarded as behavior, including recycling and chemical-free farming, that is friendly to the environment, to people and to animals. Sueyoshi founded the Ethical Association in Tokyo last fall and has organized events and workshops to raise awareness of ethical consumption, including “fair trade” — an international movement aimed at protecting the rights of workers in developing countries by trading at a fair price. Sueyoshi herself boasts living an “ethical” life, wearing clothing and accessories handed down from her grandmother or even her great-grandmother after alterations. But she said she used to care only about herself and purchased “high-end brands” until she witnessed the effects of climate change in Africa. In 2004, she climbed Mount Kilimanjaro in Tanzania, the highest peak on the continent, as part of a TV program exploring countries across the world. She learned there that about 90 percent of the glacier ice on the 5,895-meter mountain has melted due largely to global warming and that local people were worried that the supply of water from the mountain might run out soon. She said this experience changed her life completely. She avoids the brand clothes she used to like, ever since she learned that some of them are produced in bad working conditions overseas by workers who are poorly paid. “I have started considering who made this and where” before purchasing any clothes, she said. “Local people are the ones who take the initiative in ethical consumption,” she said.